By Dare You Stamp Co. 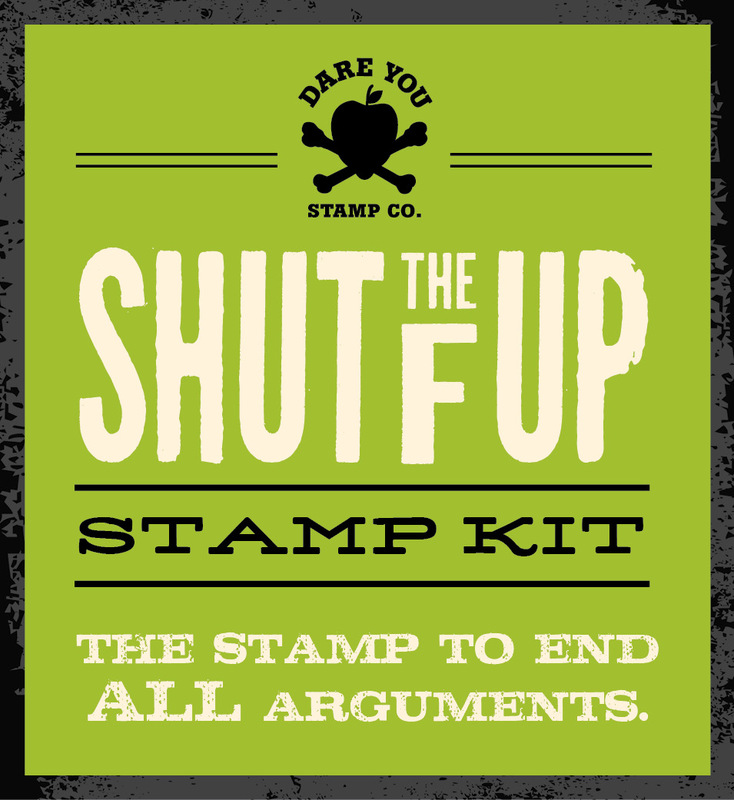 Send back and forth battles to a screeching halt with a loud and clear stamp to end all arguments. The self-inking rubber stamp imprints “Shut the F Up” across most surfaces and includes a humorous 16-page booklet filled with witty wisdom on how and where to declare your comeback. Sometimes, “shut up” doesn’t cut it. Actually, it’s weak. It never did work on your bully big brother, did it? Or the kids on the playground teasing? Deliver a strong, more mature comeback with this self-inking rubber stamp that imprints “Shut the F Up” across most surfaces. The kit includes a handy 16-page booklet filled with humorous advice on clever uses of the stamp. The Shut the F Up stamp is ideal for communicating with politicians, professors, landlords, government workers, annoying roommates, and nagging family members; as well as for stamping parking tickets, term papers, eviction notices, chore lists, overdue bills; the list goes on! No more sheepish fights and never-ending back and forth squabbles when you can end your arguments in ink. More books from this author: Dare You Stamp Co.